Graciel Diamante obtained her B.S. in Cell and Molecular Biology from California State University, Northridge in 2012. She is currently a Ph.D. student in the Environmental Toxicology Program at the University of California Riverside, in the laboratory of Dr. Daniel Schlenk. Her research interests are understanding how important environmental contaminants cause toxicity. With RECOVER, she will study the molecular mechanism by which exposure to oil results in cardiac toxicity. 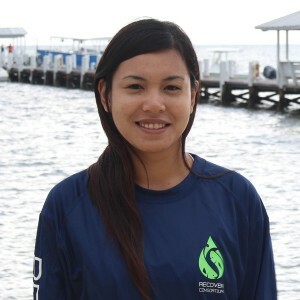 Graciel is excited to be part of this team because it will give me the opportunity to collaborate with leading scientists on a project that will address a major environmental problem.